← June 17 Surf Air Protest March – Come Join Us! On Saturday, June 17, 2017 a protest was held specifically targeting Surf Air. Residents from Bay Area cities attended the protest at San Carlos Airport (KSQL). 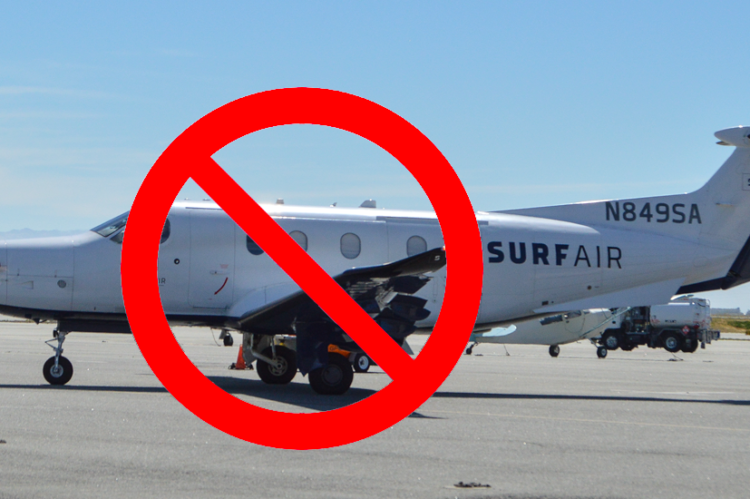 Customers of Surf Air arriving or departing from the San Carlos Airport Saturday morning, June 17, were greeted by a crowd of protesters waving picket signs and passionately shouting, “No more Surf Air,” and other slogans. When one of the blue-and-white turboprop PC-12s used by the subscription-based commuter airline arrived, the group of protesters – numbering more than 50 people at times – moved to a chain-link fence to confront the five passengers who disembarked. “No more Surf Air,” the group chanted in unison. “You disturb our lives,” shouted one protestor. “We’ve had it,” yelled another. “There are humans underneath these airplanes who are suffering so a few people can have a convenient service,” said North Fair Oaks resident Heather Brinkerhoff, who was there with her 23-month-old son. The planes often wake up her son, she said, and make it unpleasant to be in their yard. Ms. Brinkerhoff said her family previously lived near the train tracks in Menlo Park, so she’s had experience with noise. But unlike train noise, which she said her family got used to, the noise from Surf Air’s turboprop PC-12s is grating and impossible to ignore, she said. One of Surf Air’s customers had a suggestion for the protestors. “You guys ought to move,” he said, as he exited the terminal and got into his car. Winn Siegman, who has lived in North Fair Oaks for 29 years, said he’d never really even thought about the fact that there was an airport in San Carlos until Surf Air began using it. Because Surf Air’s Pilatus PC-12s carry fewer than nine passengers, under FAA regulations they may operate out of the San Carlos Airport even though it is a general aviation, not a commercial, airport. The airport is considered a “reliever airport,” keeping small planes out of busy regional airports such as San Jose, San Francisco International and Oakland. Mr. Siegman’s sign expressed support for the San Carlos Airport, as did many of the other protestors. 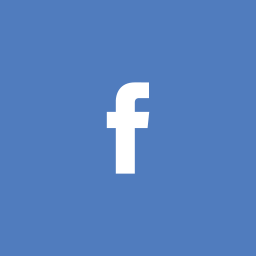 Anna Traver and her husband, Michael Pagano, and many of their neighbors came from North Fair Oaks, an unincorporated neighborhood between Atherton and Redwood City that is also under Surf Air’s flight path. “The noise is getting increasingly incessant,” Ms. Traver said, with planes waking her up at 5:45 a.m. and again at 11:30 p.m. “They’re growing,” she said of Surf Air, which recently announced it would add 48 weekly flights at the San Carlos Airport this summer. Other protesters came from Sunnyvale and Cupertino, where Tony Guan said he has 200 flights headed to different airports going over his house daily. “We really cannot take more,” he said. Although the Surf Air flights are at a much higher altitude there than they are closer to the airport, the noise from the turboprop planes is impossible to ignore, he said. The Sunnyvale and Cupertino residents said their main concern is that the attempts by San Mateo County and Surf Air to shift flights away from the communities close to the airport by sending planes over the Bay means more flights are going over their homes. “It’s a shifting of airplane noise,” Mr. Guan said. Organizers of the protest estimate that 120 people took part during the 9 a.m. to noon protest, with about 30 to 40 of them from Sunnyvale and Cupertino. Participants said they plan more protests, and have begun organizing one for the San Mateo County Board of Supervisors’ offices in Redwood City.